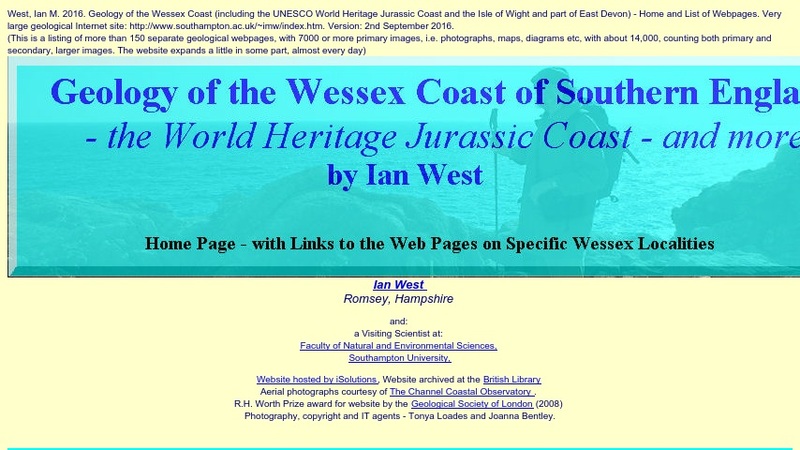 Ian West, a retired professor at the University of Southampton, developed this expansive database of geological field guides to the Wessex Coast of southern England. The website divides the information on the fossils, offshore geology, formations, and much more into smaller units within the Coast. The field guides can be viewed by stratigraphical units and localities. Students and educators can learn about the Jurassic, Cretaceous, and Palaeogene strata of the area through countless photographs. Many of the field guides include information on the historical, topographic, and natural history of the area.